Where Does Favor Home Solutions Buy Houses in Tennessee? Are you needing to sell your house fast in Tennessee? Favor Home Solutions is ready to buy your house with cash anywhere in TN! Call today at 615-956-2909! Favor Home Solutions buys houses all over Tennessee fast for cash! If you’re needing to sell my house fast in Tennessee, we buy houses in Tennessee with cash! We’ll buy your house AS-IS, so you don’t have to fix it up. In fact, you don’t even have to sweep the floor when you sell with us! We allow you to push the easy button and sell your house fast in Tennessee! 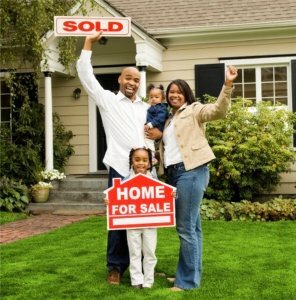 Need To Sell Your House Fast In Tennessee? Are you needing to sell your house fast in Tennessee? Favor Home Solutions is looking to buy! Call Today to get your all-cash offer! Stop the frustration of your unwanted or frustrating property. Let us buy your house now, regardless of condition. That’s right, We buy houses in Tennessee! Avoiding foreclosure? Facing divorce? Moving? Upside down in your mortgage? Liens? It doesn’t matter whether you live in it, you’re renting it out, it’s vacant, or not even habitable. We help homeowners who have inherited an unwanted property, own a vacant house, are behind on payments, owe liens, downsized and can’t sell… even if the house needs a ton of repairs that you can’t pay for… and yes, even if the house is fire damaged or has bad rental tenants. No matter what, we buy houses in Tennessee!! Basically, if you have a property and need to sell it and you’re saying to yourself, “I need to sell my house fast in Tennessee,” we’d like to make you a fair cash offer and close on it when you’re ready to sell. Do You Need To Sell Your House in Tennessee? Even if an agent can’t sell your house, we can help. (Sometimes selling a house through a real estate agent is not for everyone.) And as an added bonus, you won’t even need to clean up and repair the property, searching far and wide for an agent who you trust and who can deliver on their promise of selling your house quickly, you won’t have to sign a contract that binds you to an agent for a certain term, you won’t have to deal with the paperwork and the waiting and wondering (and hoping). We’ll know very quickly if we can help you, and unlike selling through an agent, you don’t have to wait to see if the buyer can get financing… we’re ready to buy right now! And if we aren’t the best fit for you, we will help find the person or entity that is! Favor Home Solutions, LLC is all about helping YOU, not about making a quick buck. We want what is truly best for you as a homeowner. We work differently at Favor Home Solutions. When you contact us and submit the short property information form (below), we’ll give you a fair all-cash offer on your house within 24 hours… and the best part is: we can close whenever YOU choose to close – it’s entirely your call on when you want to close. We help property owners just like you, in all kinds of situations. From divorce, foreclosure, death of a family member, burdensome rental property, and all kinds of other situations. We buy houses in Tennessee, and we pay a fair cash price, fast. Sometimes, those who own property simply have lives that are too busy to take the time to do all of things that typically need to be done to prepare a house to sell on the market… if that describes you, just let us know about the property you’d like to be rid of and sell your house fast for cash in Tennessee. Can A House Be Sold While In Probate In Tennessee Tennessee? How Much Will Listing Your House Really Cost in Tennessee? 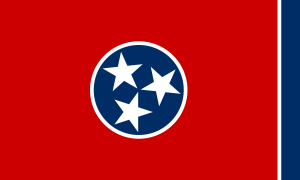 Is Hiring An Agent in Tennessee REALLY Worth It? How Much Does Holding A Property Cost in Tennessee?